Even in this digital era the importance of a printed brochure, catalog or price list should not be underestimated. According to the Door to Door Impact Survey 2018 of BD myShopi, 9 out of 10 Belgians read the advertising leaflets that they receive weekly in their mailbox. Yet another confirmation that ‘classic’ printed matter is still a powerful medium to communicate your products and services with your target audience. Your promo brochure or product catalog should stand out in the stream of folders and catalogs of other companies, including competitors. An attractive layout that clearly and identifiablely identifies your brand with your target group is therefore indispensable. However, creating and updating folders and catalogs is extremely time-consuming and therefore expensive. Moreover, the chance of errors is extremely large. One wrong product photo or wrong price indicator can give your sales and brand image a big hit. The solution? An automated graphical workflow that avoids errors and offers more time for the creative part. Setting up an automation workflow is not self-evident. This requires sufficient knowledge, time and organization to achieve an optimal result. It remains here as well a cliché that everything starts with a good preparation. All information that needs to be printed (eg. products with their corresponding prices and features) is preferably stored in a structured database or spreadsheet, which can be linked directly to the graphical workflow. Correct product information and a suitable data structure will, in combination with a well thought-out graphical workflow, bring a lot of benefits. Perhaps the most obvious advantage. 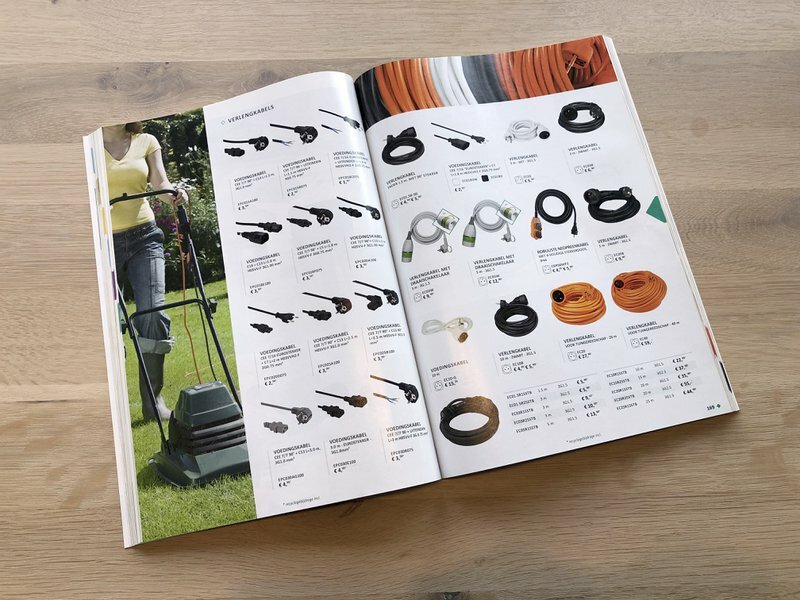 If a catalog or price list is assembled manually, a graphic employee will spend several hours to make all pages look great. In this case, the supply of information and the execution of corrections are not to be underestimated time-consuming activities. Precious time that can not be used to perform other tasks. A well-developed automation process has a considerably smaller margin of error than a human being. Especially if the latter has to perform a very repetitive task. Not only processing the initial information, but also carrying out automated revisions and checks is many times more reliable than in the case of a manual process. The correct organization of product information also has long-term benefits. Once your database is up and running, it does not require a lot of extra work to create an alternative version of your catalog or price list with other parts of that same information. For example, different assortments can be highlighted for different target groups. This makes personalizing printing a lot easier. 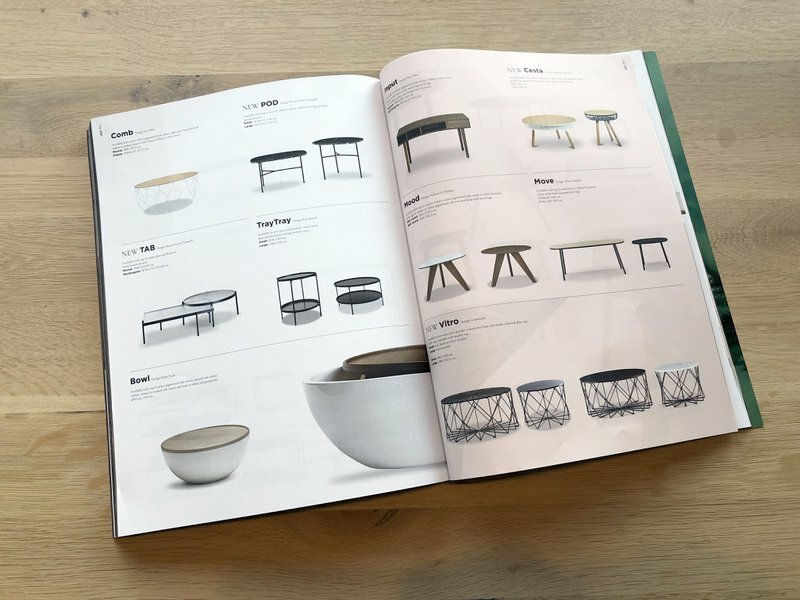 A new version of the same catalog can also be produced much faster and with little effort, including new products or prices. As a result, your target audience can be reached with a much higher frequency with the same budget. By far the most common layout program for folders and catalogs is Adobe Indesign. In itself Indesign is an ideal tool for the manual preparation of large volumes of information. In combination with additional plug-ins, Indesign also allows the automated creation of folders and catalogs. For example, a large amount of information can be inserted in predefined templates in a short time. One of the most popular and qualitative plug-ins for this is EasyCatalog. This software is used worldwide by market leaders in retail, FMCG and other sectors. Our own prepress studio and mobile graphic consultants also choose EasyCatalog as the standard for automatic and personalized layout. Every day our graphic specialists use their knowledge of EasyCatalog to support customers with valuable advice and correct print-ready files. From a weekly 4-page advertising folder to an extensive catalog with dozens or even hundreds of pages. Does such an efficient graphical workflow sound like music to your ears? The graphic specialists at Sirius Graphics are ready to advise and support you in this matter. We create your catalog, folder or price list in our prepress studio, or our graphic intervention team provides advice and graphic support at your location. Do not hesitate to contact us for advice, without any obligation, or a price quote. Because our graphics team is equipped with up-to-date EasyCatalog licenses, you do not have to purchase these as a customer, a considerable saving. If you nevertheless wish to purchase and install your own EasyCatalog licenses, we and our partners are happy to help you on your way. Brexit and pharmaceutical packaging, the impact and solution. Graphic experts: Outsource, insource or hybrid?